The big Premier League teams have been busy in Europe this week playing in both the Champions League and Europa League but there is no rest for them as they return to domestic action this weekend. We have a busy Saturday this weekend with eight games on the schedule, and two taking place on Sunday, so there is plenty to look forward to this weekend. There isn’t a real stand out game this weekend, although the team that everyone will be watching is certainly Tottenham when they travel to Brighton for the Saturday evening game. Spurs have lost their last two league games and also lost in Italy against Inter Milan on Tuesday. Reports that members of the squad are already tired, including Harry Kane, have certainly not helped things and not signing anyone this summer could already be coming back to haunt them. Liverpool and Chelsea are the two teams going into this weekend who still have a 100% record and they both have winnable games to take their total to six wins from six games. At the bottom of the table, Cardiff, Huddersfield, Newcastle and Burnley will all be looking to register their first wins of the season but every one of them has a really tough game and it would be no surprise to see all four remain winless after this weekend. One of the biggest talking points so far this season has been the start that Watford have made. They won their first four games before losing to Manchester United last weekend to end their unbeaten start. It has been very impressive when you consider that some people had Watford down as potential relegation candidates this season and despite their loss last weekend they still go into this weekend’s fixtures in 4th place. There is a real belief amongst the players in the camp right now, and that could carry them a long way. Fulham spent big this summer and the only reason we haven’t been talking too much about it was because Wolves spent more. Fulham don’t expect to simply survive in the Premier League, they want to flourish but so far we are yet to see enough from them to suggest they will. Just one win and one draw mean they have four points and are above the relegation zone, but this is a total they will want to improve on over the coming weeks. I’ve been really impressed with Watford this season, and I think they can get back to winning ways here on Saturday in the early kick-off. After surviving the drop in their first season in the Premier League the task for Brighton this season is to do exactly the same again. They have started fair well, although they have only won once they have drawn a further two games and lost two, they appear to be putting additional focus on being hard to beat this season. Tottenham are in a little bit of trouble right now with three defeats in a row in all competitions and a team that is apparently already tired. One player who has looked tired is Harry Kane, but Tottenham simply have no one to replace him with, so he is being forced to play every game. The majority of their problems stem back to not signing anyone this summer, which already looks to be a huge mistake and we are only five games into what is going to be a tough Premier League season. While Spurs look lethargic I want to be against them and I think Brighton will pick up another draw here to add another point to their total. Since moving to the Olympic Stadium, things have gone from bad to worse for West Ham and this could be the season that they implode. They spent big money last summer and had an awful season, they have spent again this summer and so far sit in 16th position with just one win and four defeats to their name. Up until that win they were bottom of the league after what has been a truly dreadful start to their campaign. Chelsea have so far looked the complete opposite, they are one of just two teams who have won every game so far, and will be looking to take their win total to six here. This is a little surprising considering they haven’t really had the chance to work with new boss Maurizio Sarri due to the World Cup but so far so good for them. With 14 goals scored and just four against, Chelsea are looking strong at both ends of the field and can pick up another win here on Sunday. After two defeats against top opposition in their first two games, we are now seeing Arsenal settle down and compete well. They have won their last three games, four if you include the Europa League win on Thursday and look to be coming together under new boss Unai Emery. This is very much a work in progress team, but they still have the quality to compete towards the top of the league as we have seen in recent weeks. Everton may be up in 10th right now, but disappointingly they have only won one game from their first five. Draws have helped their points total, but that is not good enough if they want to finish in the top have of the table. They lost their first game of the season last weekend, but that was to lowly West Ham and overall it was a very disappointing showing from The Toffees. Arsenal are playing well at the moment and they look a good bet to take all three points in the final game of the Premier League weekend. Those who like to place a few bets on the Premier League will really be licking their lips this weekend, there is some great value on offer. Accumulator players are going to be focusing on Manchester City (3/20), Liverpool (2/11) and Manchester United (4/7) on Saturday, while those betting on Sunday are also likely to include Arsenal (1/2) and Chelsea (4/7) in their bets. Those wanting to boost the odds by adding a little more risk may also look at adding Leicester (6/10) in there against Huddersfield. If you are looking for something at a bigger price then there is plenty of that on offer too. Perhaps one of the most popular bets this weekend will be Crystal Palace (23/20) at home to Newcastle, who are really struggling right now. Another struggling team is Burnley, and Bournemouth (6/4) will travel their hopeful after losing just one game from their opening five. Watford (7/4) away at Fulham will also appeal to those looking for teams at a bigger price and if you are looking for a draw this weekend, the obvious one to me looks to be Brighton vs Tottenham (11/4). If you are having a bet on a team to win in one of the live televised games from the Premier League this weekend then be sure to look at this offer from Sportnation.bet. They are offering all new and existing customers this offer, so anyone can take part. If your chosen team scores a goal in the first five minutes of the game then you will be paid out straight away as a winner on your bet, regardless of what happens later in the game. For a quick win, this is a fantastic offer from them and one to take advantage of. If you are placing a bet on the correct sore or a goal scorer bet in the game between West Ham and Chelsea on Sunday then this offer is for you. Unibet are offering players their money back as a free bet if either Hazard or Arnautovic scores the first goal and looking down the teams these two look to be the most likely to score. If this game is one you will be involved in then this offer is a great way to cover any bets you place on the markets that are included. 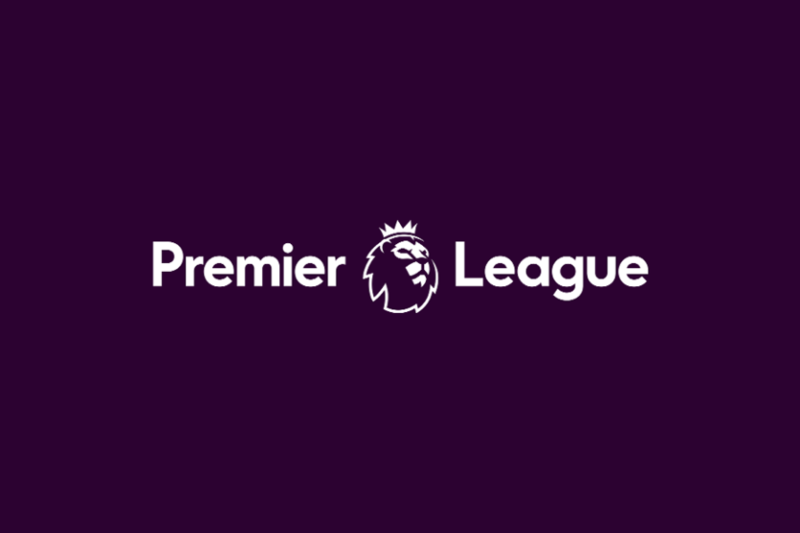 Boylesports have an offer that covers every Premier League game, so certainly, something for Premier League fans to get involved with. If a penalty is scored in a game then you will be paid out double the winnings on any winning correct score or first goalscorer bets. The additional winnings will be paid out in free bets, but this is a great way to boost your funds when a penalty is scored and you back a winner.